Free-standing, heat shoe laminator with exclusive infrared heating, independent top and bottom temp controls, programmable job settings and on-the-fly adjustments. Handles up to 10mil on rolls up to 2000". 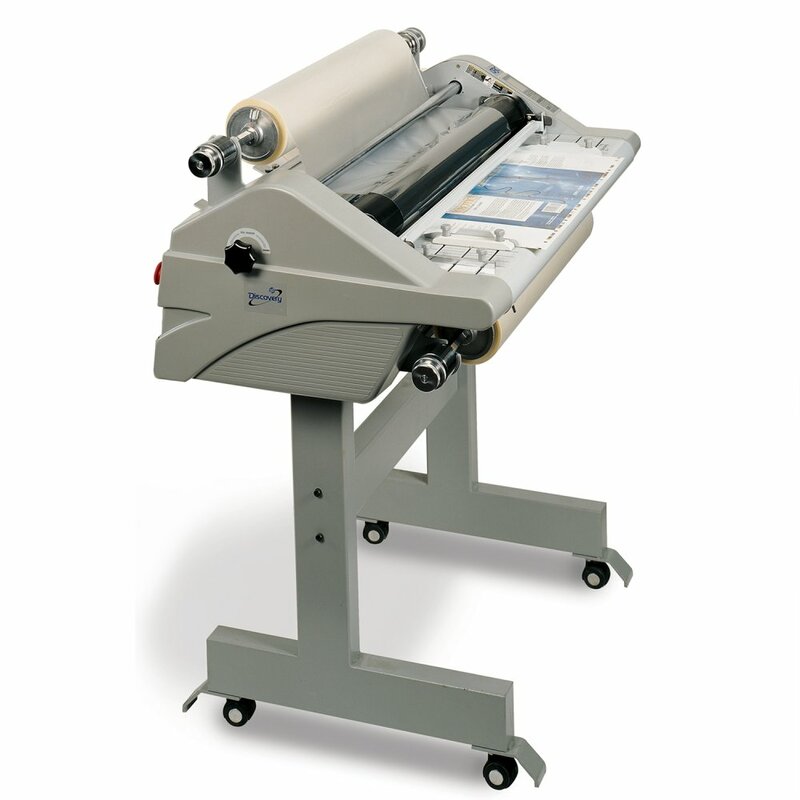 A 31" production laminator designed for commercial printing or in-house production environments. It is four times faster than office laminators. The unique crowned rollers and infrared heating system provide optimum output quality even at higher speeds.